Finally after a lot of hunting I put a deposit down on a 2003 E51 Rider in pearl white. 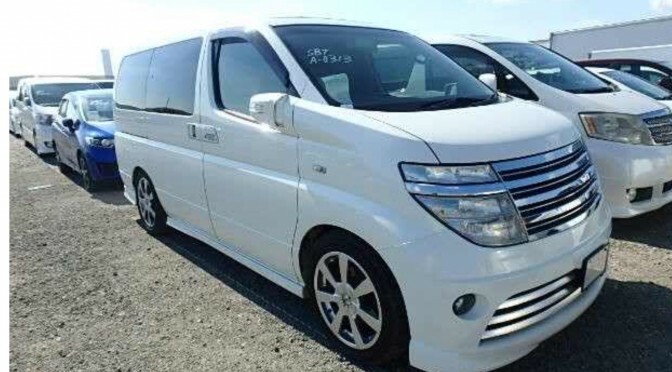 It looks pretty clean, is AWD (a requirement), has twin sunroofs, DVD screen, reversing camera, electric side door and curtains and is the non-‘S’ variant with cream leather interior. It has the 3.5 litre V6 engine from the Nissan 350Z. The reason for going for this particular van was that it was just getting on a boat to Southampton and would be ready for collection in early May, a couple of weeks before we drive through France for a holiday. I just have to wait now, and it’s an absolute killer!